This guide was sponsored by the brands featured below. The holidays are just around the corner and it’s time to start hunting for the perfect gifts for your friends and family! For those of you with cannabis aficionados in your life, this list is just what you need to find the perfect gift. We included some of the finest items from every facet of the cannabis industry; from dabbing to dabbling in culinary infusion, we’ve got you covered. 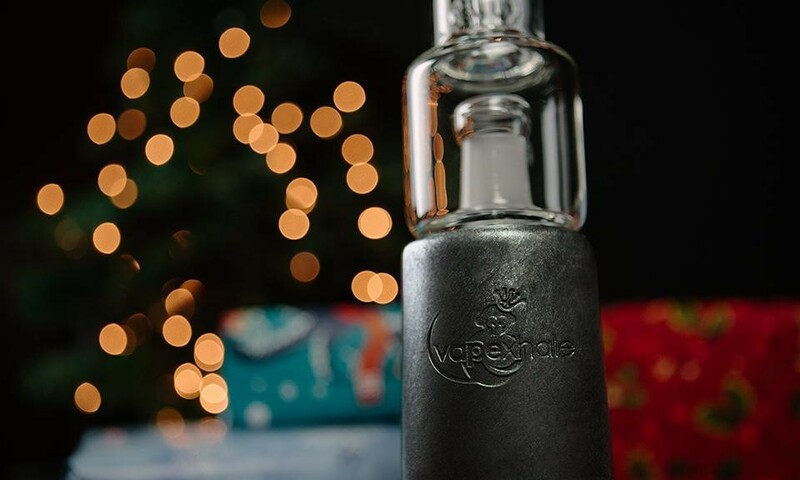 The VapeXhale Cloud EVO™ is the gift of the season for any cannabis enthusiast. With two Cannabis Cup “Best Product” wins under its belt, this revolutionary table-top vaporizer has both the medicinal and recreational communities raving. The trifecta of the all-glass vapor path, the water pipe attachment (a.k.a.. HydraTube™), and the convection heat delivery system produces the thickest, healthiest, and most potent vapor possible! Optimized for both herbs and oils, the VapeXhale Cloud EVO™ is truly the best stocking stuffer this season for the cannabis connoisseur. 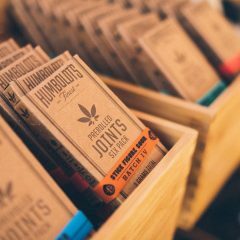 Use “LEAFLYHOLIDAY” for 20% off! Oil Slick makes non-stick solutions for every segment of the cannabis extract market. Distinguished for quality in the industry, their containers, pads, and PTFE products are as beautiful as they are functional. Oil Slick products use medical grade materials to preserve the safety of your extracts without any BPA, formaldehyde, or plastic fillers present. Extract lovers, this one’s for you. Use “LEAFLY” code for 20% off and free shipping in the US & Canada! Know someone who loves to cook with cannabis? Magical Butter is just the gift for them! This isn’t your average kitchen appliance. Magical Butter quickly and efficiently creates infused butters, oils, tinctures, soups, sauces, salad dressings, skin care products, and more! The design is sleek, easy to use, and makes quality infusions in a fraction of the time. A must have for every foodie! Use “LEAFLY” code for $30 off! While there are those who relish the aroma of cannabis, not everyone wants the pungent scent lingering around after consumption. Kushley’s line of organic products control the aroma produced by cannabis safely and effectively. Originally intended to help patients undergoing chemotherapy, Kushley offers a full line of organic yet powerful cannabis odor eliminators ranging from candles to lotions to sprays. 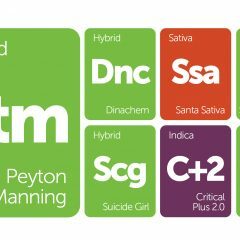 Whether you’re a medical patient or a recreational consumer who’s still in the “canna-closet,” so to speak, this product line is exactly what you need! Beyond Buds is the perfect gift for any book-lover who also has a penchant for extracts. This handy guidebook, written by cannabis enthusiast Ed Rosenthal, is the first of its kind. Learn about the many different types of cannabis extracts and how they are made, enjoying countless stunning images of concentrates and flower alike along the way. Don’t wait, pick up a copy today! Eyce Molds allow you to say goodbye to dirty, easily shattered glass water pipes. A truly revolutionary product, Eyce Molds offer all the benefits of glass water pipes, without most of the drawbacks; they stay clean, don’t shatter, and deliver the coldest, smoothest, and cleanest smoke. Constructed with a silicone mold and core pin, all you have to do is assemble, freeze, then use, returning to the freezer after each session. This gift is a must-have for any health-conscious glass water pipe lover, or anyone who enjoys properly chilled smoke. Our signature strain t-shirts make the perfect gift for every cannabis lover in your life! Soft, comfortable, and stylish, these shirts are great worn out with nearly any accessory or lounging around the house. Available in indica, sativa, and hybrid tiles. Get one for your loved ones today (and maybe one for you too)! Use “GIFTGUIDE” code for $5 off from December 1 – 25, 2014! Leafly is not responsible for external content. Offers subject to change at discretion of product vendor. Restrictions may apply..